Working closely with internationally renowned American tenor Michael Slattery, Montreal’s La Nef lend some of John Dowland’s music a simple Celtic flavor and breathe life into the possibility that one of the greatest English composers was actually an Irishman. Born and educated in Vancouver, Alvin S. Nemetz moved to the United States in 1952 to pursue further studies in his chosen field of economics at the University of Washington and at the School of Business at Columbia University where he was a Samuel Bronfman Fellow. After 30 years in business in the US and Toronto, he realized his dream of returning to the city of his birth. Back in Vancouver, he generously shared his time and assets for the enrichment of the community until his death in May 2001. A devoted family man and keen traveler with his wife Sheila, daughters Andrea and Jill, son-in-law Ralph, and grandchildren Ian and Sarah, Alvin always made a point of seeking out indigenous music in any place he visited, purchasing cassettes and CDs in locales such as Greece, Memphis, South America, and St. Petersburg, Russia, to name a few. A life-long lover of music, Alvin was especially proud to have had a part in bringing the inaugural Festival Vancouver 2000 from a dream to reality. Generously sponsored by Tony & Margie Knox. possible Irish origins. Was Dowland, often considered the first great English composer, actually Irish? He may have belonged to an old Irish family, the O’Dolans, who settled in Dublin in the middle of the 16th century. The hypothesis that he was Irish seems strengthened by the fact that he was a Catholic, and had an honorary diploma from Trinity College in Dublin. And what makes the hypothesis seductive is the fact than many of his melodies, if stripped of their complex accompaniment and counterpoint are, in their simplicity and flavor, very Celtic. When an Irish flute, violin, cittern, and percussion join the lute in playing them, they sound indeed like real Irish airs. his music. His motto, Semper Dowland, semper dolens (always Dowland, always down), seems to proclaim an aspect of his personality, but it may just be a cliché. We should not forget that, in his time, the time of Shakespeare, there was a cult of melancholy. Dowland, in actual fact, was a pleasant and cheerful chap who spent his days making jokes! He seems, as well, to have had very good relationships with women; the fact that a significant number of his dedications are to women testifies to this. In his music, and his choice of titles for it, Dowland clearly reveals himself as a split personality. On the one hand, he is a man of melancholy, the man who wrote so many weepy works: ‘Lachrimae’, ‘Flow my tears’, ‘I saw my Lady weep’, ‘Go Crystal tears’. On the other hand, he is a man of lightness, wit, and satire: ‘My Lady Hunsdon’s Puffe’, ‘Mistress Winter’s Jump’, ‘Mrs. White’s Thing’. In putting together tonight’s program, we have chosen to concentrate on the latter, light-hearted Dowland. Though he was admired throughout Europe as a composer and luthenist, Dowland was not engaged by the English court until very late in his life. This was probably because of his religion, and because of his forthright tongue — Queen Elizabeth could not tolerate plain speaking. So the virtuoso lutenist traveled all over Europe, playing for the great princely courts, and winning fame as the composer of the greatest international hit of the day: the pavane ‘Lachrimae’, which he turned into the song ‘Flow my tears’. After having been rejected several times by his sovereign, Dowland must have felt resentment and a deep sense of injustice. Finally, at the end of his life, a British sovereign, King James I, hired him. But this was but slight consolation; the great musician found himself in a lute ensemble with hacks of modest talent, who had obtained their jobs at court through schemes and flattery. Tonight we celebrate the Irish Dowland by imagining how some of his tunes would have sounded if played by traditional instrumentalists and singers in a 16th-century pub. Since graduating from Juilliard, Michael Slattery has enjoyed an exciting international career. He has worked with the New York Philharmonic, the Philadelphia Orchestra, the Los Angeles Philharmonic, Lincoln Center's Mostly Mozart Festival, the French National Orchestra in Paris, the Akademie für Alte Musik in Berlin, and the Orchestra of St. Luke's at Carnegie Hall. Career highlights include Peter Sellars' Tristan Project at Lincoln Center, the title role in Bernstein's Candide at Royal Festival Hall in London, and Monteverdi's L'Orfeo at the Châtelet Theater in Paris, the Staatsoper in Berlin, and at Glimmerglass. He was recently included in The Spectator's list of tenor "Heroes of the Concert Hall." His prize-winning recordings include Mozart's Bastien und Bastienne, Scarlatti's Cecilian Vespers, Handel's Atalanta, Saul, and Solomon, and Bernstein's Candide. His solo discs The Irish Heart, and Secret and Divine Signs, received critical acclaim from Gramophone Magazine and Five Star ratings from BBC Music Magazine and ClassicFM. His voice has been recorded for films and for television, and upcoming recordings will include Handel's Acis and Galatea and Samson, Britten's Curlew River, and a disc of Dowland songs. Outside his musical activities, Michael Slattery devotes much of his spare time to visual art and to writing. His paintings have been published in the French art magazine ORAOS and exhibited by Glimmerglass Opera in conjunction with the launch of their new website. Amanda Keesmaat has been a vibrant presence in the Montreal early music community for more than 10 years. Originally from Hamilton, Amanda obtained her Bachelor of Music (Hons. Perf.) from the University of Western Ontario and her Artist Diploma from McGill University. Musique Ancienne de Montréal and at festivals such as Montreal Baroque, Ottawa Chamber Music Festival and Vancouver Early Music Festival (Festival Vancouver). As a founding member of Ensemble Les Voix Baroques and Skye Consort, she has performed across Canada. Amanda has recorded for ATMA discs, Analekta, XXI, ombú, CBC radio and CBC television, BRAVO and Radio-Canada. 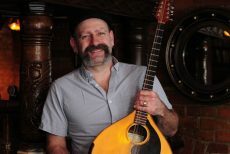 Born in Quebec, Sylvain Bergeron has perfected his playing of instruments of the lute family during numerous stays in the United States and Europe with, among other teachers, Paul O’Dette and Eugène Dombois. He is one of the founders and artistic directors of La Nef, which has existed since 1991. Since then, he has been responsible for the creative and musical direction of some twenty productions such as Celtic Christmas, Elegies: Music for the Day of the Dead (winner of an Opus award), Perceval, Montségur (winner of an Opus award), The Garden of Delights, and Music for Joan the Mad. Charles Daniels, Anne Azéma, and Patrizia Bovi. Sylvain Bergeron has toured the five continents and has performed under well-known conductors. He has performed in concert halls as prestigious as the Concertgebouw in Amsterdam, the Salle Gaveau in Paris, the Kennedy Center in Washington, the Frick Museum and the Lincoln Center in New York. In January of 1993 he accompanied famous gamba player Jordi Savall in a series of four recitals dedicated to Marin Marais. He was recently invited to give a series of solo recitals at the Ninth Festival of Plucked Strings in Rabat, Morocco. Sylvain Bergeron teaches the lute, the baroque guitar, and continuo at McGill University and at the Université de Montréal. Specializing in Baroque flute, Grégoire Jeay frequently performs in Quebec and in Canada, and has played in France, Belgium, Mexico, Turkey, the UK, and the US. He is recognized for his musicality and his expressiveness, as well as for his great skills in ornamentation and improvisation. His virtuosity on the transverse flute is equally appreciated on the recorder and various flutes from around the world. He is a member of several prominent early music ensembles, with which he regularly performs and records, including Tafelmusik, Les Idées heureuses, Theatre of Early Music, Les Voix humaines, Ensemble Caprice, La Mandragore, Constantinople, Skye Consort and La Nef. He has performed with such internationally renowned artists as Karina Gauvin, Phillipe Sly, Suzie LeBlanc, Emma Kirkby, Marie-Josée Lord, Hélène Guilmette, Daniel Taylor, Luc Beauséjour, Sylvain Bergeron, Simon Standage, Olivier Brault, and Hendrik Bouman. In parallel to his activities as a flutist, Grégoire Jeay composes and arranges soundtracks and other types of works for a variety of instruments. A McGill music graduate in baroque violin, Alex has devoted more than a decade to Celtic fiddle styles as well as other world music. Currently living in Sherbrooke, he has discovered a love for teaching while managing to continue an active playing career. Other musical projects include Skye Consort, La Nef, Jeunes Musiciens du Monde among others and he has recorded over 20 CDs in his career.